Welcome to Rockport Grove, NJ. Rockport Grove, NJ was once a quaint, middle class Victorian town with old-fashioned values. Filled with houses that faced the beach and the usually benevolent Atlantic Ocean, it offered a quiet vacation alternative to the pricier, more commercial beach towns like Wildwood and Point Pleasant. After Hurricane Sandy, however, which ripped the town to shreds, it became a place of wrecked houses, destroyed businesses and shattered dreams. The government provided some compensation, but it was just a drop in the bucket of what the town truly needed. Seeing no alternative, many of the townspeople borrowed from the Russian mafia, which enabled organized crime to gain a foothold in Rockport Grove. 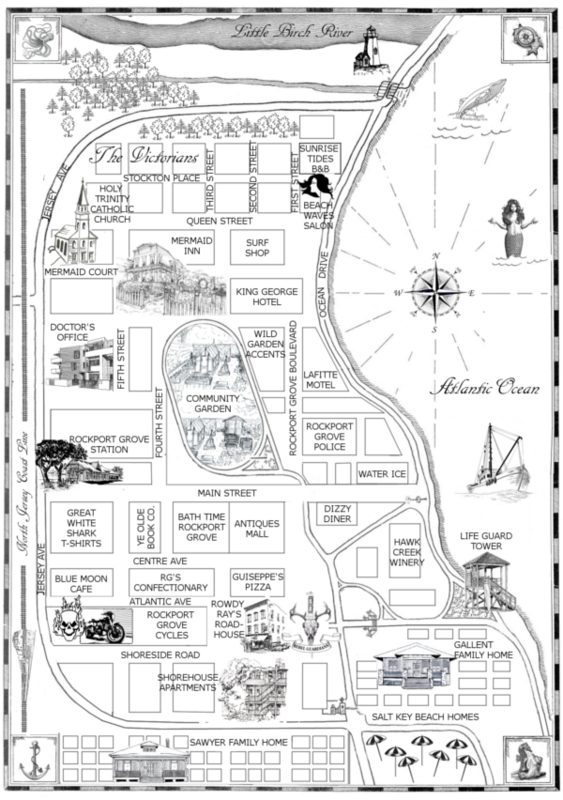 In a space of just a few years, Rockport Grove went from a quaint beachside town with old-fashioned values to a highly profitable criminal enterprise, with a corrupt police force and a mayor who takes orders from a mob boss. Now it’s up to the Rebel Guardians to set things right. ← Web Redesign Giveaway Winner!